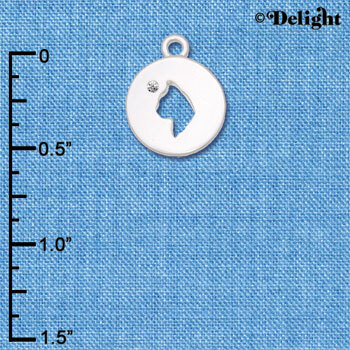 Silver Tone Stallion Silhouette Heart is approx. 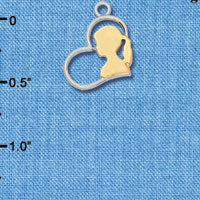 0.7 x 0.52 x 0.09 inches (HxWxD) including loop. Horse in cutout heart is the same on both sides. 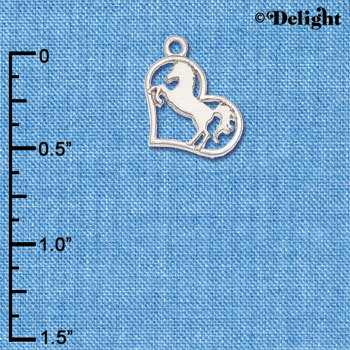 Two Tone Stallion Silhouette Heart is approx. 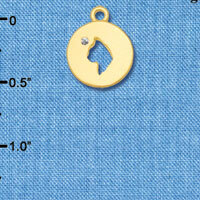 0.7 x 0.52 x 0.09 inches (HxWxD) including loop. Horse in cutout heart is the same on both sides. Silver Tone Cat Silhouette Heart is approx. 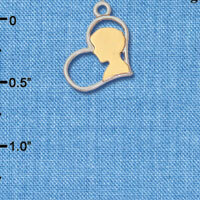 0.7 x 0.52 x 0.09 inches (HxWxD) including loop. Sitting cat in cutout heart is the same on both sides. 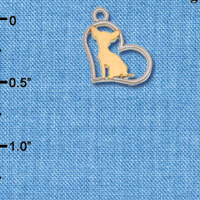 Two Tone Cat Silhouette Heart is approx. 0.7 x 0.52 x 0.09 inches (HxWxD) including loop. Sitting cat in cutout heart is the same on both sides. 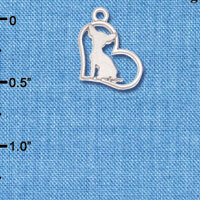 Silver Tone Chihuahua Silhouette Heart is approx. 0.7 x 0.52 x 0.09 inches (HxWxD) including loop. 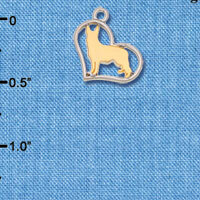 Dog in cutout heart is the same on both sides. 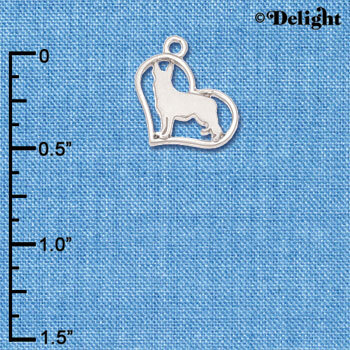 Two Tone Chihuahua Silhouette Heart is approx. 0.7 x 0.52 x 0.09 inches (HxWxD) including loop. 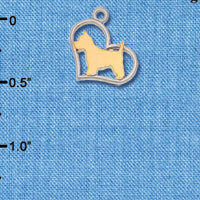 Dog in cutout heart is the same on both sides. 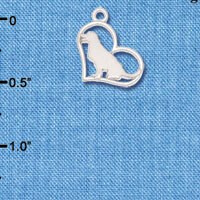 Silver Tone Labrador Silhouette Heart is approx. 0.7 x 0.52 x 0.09 inches (HxWxD) including loop. 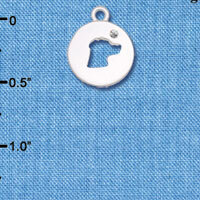 Labrador Retriever Dog in cutout heart is the same on both sides. 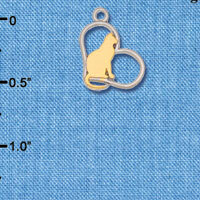 Two Tone Labrador Silhouette Heart is approx. 0.7 x 0.52 x 0.09 inches (HxWxD) including loop. Labrador Retriever Dog in cutout heart is the same on both sides. 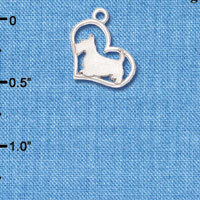 Silver Tone Westie Silhouette Heart is approx. 0.7 x 0.52 x 0.09 inches (HxWxD) including loop. 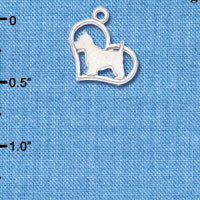 West Highland Terrier Dog in cutout heart is the same on both sides. 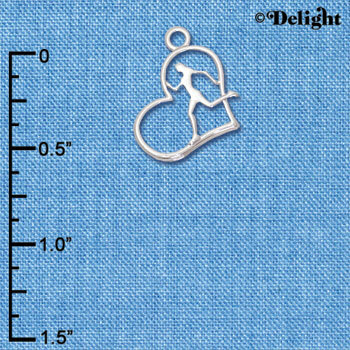 Two Tone Westie Silhouette Heart is approx. 0.7 x 0.52 x 0.09 inches (HxWxD) including loop. West Highland Terrier Dog in cutout heart is the same on both sides. Silver Tone Scottie Dog Silhouette Heart is approx. 0.7 x 0.52 x 0.09 inches (HxWxD) including loop. 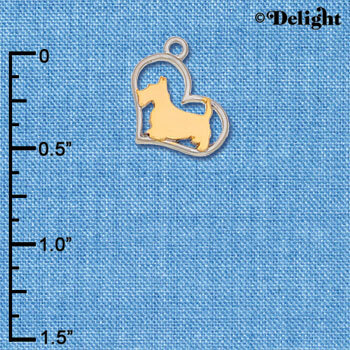 Scottish Terrier Dog in cutout heart is the same on both sides. Two Tone Scottie Dog Silhouette Heart is approx. 0.7 x 0.52 x 0.09 inches (HxWxD) including loop. Scottish Terrier Dog in cutout heart is the same on both sides. 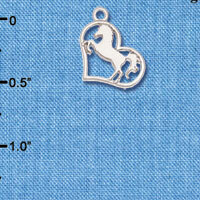 Silver Tone German Shepard Silhouette Heart is approx. 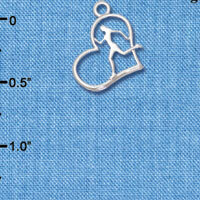 0.7 x 0.52 x 0.09 inches (HxWxD) including loop. Dog in cutout heart is the same on both sides. 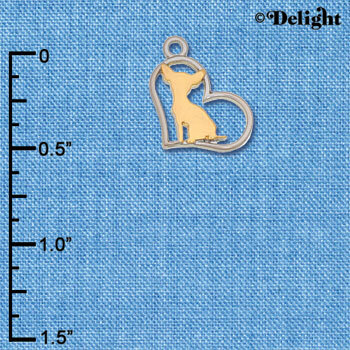 Two Tone German Shepard Silhouette Heart is approx. 0.7 x 0.52 x 0.09 inches (HxWxD) including loop. Dog in cutout heart is the same on both sides. 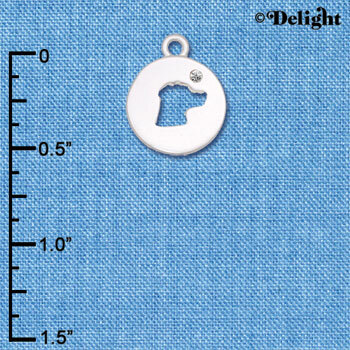 Silver Tone Dog Head Silhouette is approx. 0.70 x 0.50 x 0.10 inches (HxWxD) including loop. 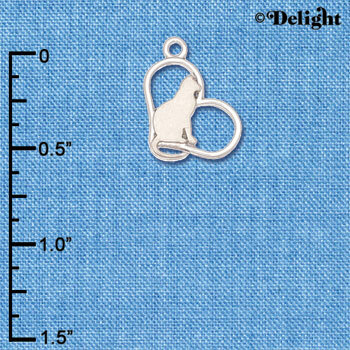 Silver Tone Cat Head Silhouette is approx. 0.70 x 0.50 x 0.10 inches (HxWxD) including loop. Gold Tone Dog Head Silhouette is approx. 0.70 x 0.50 x 0.10 inches (HxWxD) including loop. Gold Tone Cat Head Silhouette is approx. 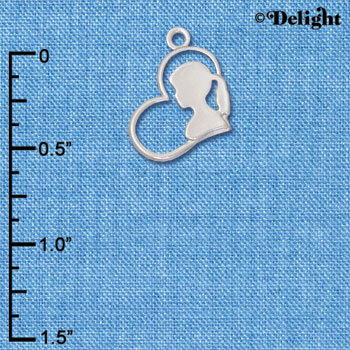 0.70 x 0.50 x 0.10 inches (HxWxD) including loop. 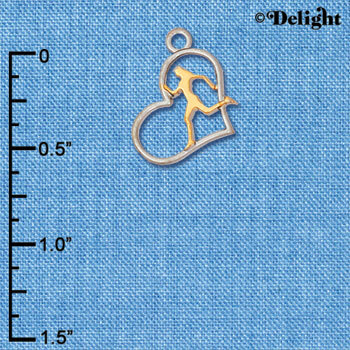 Boy Silhouette in Heart Charm is approximately 0.7 x 0.52 x 0.09 inches (HxWxD) including loop. 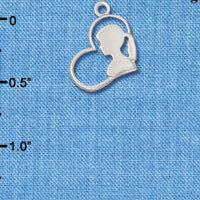 Girl Silhouette in Heart Charm is approximately 0.7 x 0.52 x 0.09 inches (HxWxD) including loop. 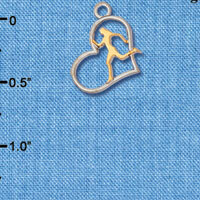 Runner Silhouette in Heart Charm is approximately 0.7 x 0.52 x 0.09 inches (HxWxD) including loop.